Japanese aquariums are beginning to consider breeding bottlenose dolphins through artificial insemination as a way to maintain their numbers and avoid continuing international criticism against displaying dolphins caught in the wild. The mother was removed from dolphin shows about six months prior to delivery and remains so. "Showing how a new life is born and growing like this is the purpose of an aquarium's existence," said aquarium director Hiroshi Nitto. Hoping to learn from the rare success, other aquariums in the country have contacted its officials to learn about its techniques. Aquariums nationwide current hold about 200 bottlenose dolphins, with a large portion of them being caught in controversial drive hunts off the western Japan town of Taiji. The ratio of aquarium-bred dolphins only accounts for around 20 percent, according to the Japanese Association of Zoos and Aquariums. In 2015, the aquariums were rocked over whether to continue obtaining dolphins through drive hunts after the World Association of Zoos and Aquariums voted unanimously to suspend JAZA's membership over the practice and threatened it with expulsion from the global body. JAZA subsequently banned its members from acquiring Taiji dolphins, prompting some to cancel their membership of the Japanese body. While remaining members were left with no choice but to breed bottlenose dolphins, JAZA had estimated that if aquariums in the country resort only to breeding the species, the total population at the facilities will drop to 69 by 2030. Small aquariums with limited finances face a particularly high hurdle in breeding as constructing a special pool for the dolphins to deliver and raise cubs often costs hundreds of millions of yen. Some facilities only raise female dolphins as they are easier to train for shows, and only a few aquariums breed the dolphins by keeping them in pairs. 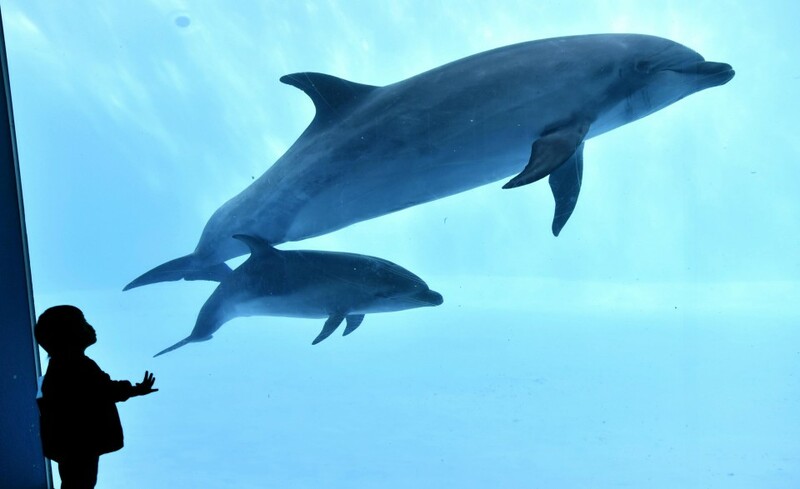 Artificial insemination could be a solution for aquariums hoping to increase the number of bottlenose dolphins as it can be conducted by delivering sperm and does not require the transfer of the dolphins themselves. The technique has been introduced at aquariums in other countries, but Japan is relatively inexperienced with it, having succeeded only twice prior to Nagoya, both at Kamogawa Sea World in Chiba Prefecture, near Tokyo. In September, Kujukushima Aquarium Umi Kirara in the southwestern Japan city of Sasebo succeeded in breeding a male bottlenose dolphin. Another dolphin, conceived through artificial insemination, is expected to be born at the aquarium later in the month. Although the aquarium is not part of JAZA, the facility said it opted for artificial insemination, given international criticism of capturing wild dolphins. "If you consider the costs, it is easier and cheaper to bring them from the wild, but breeding is the trend of the times," said Nagoya's Nitto, adding he expects more facilities will start using artificial insemination.